Yu-Gi-Oh! TCG Event Coverage » YCS Chicago First-Timers! Home > 2019/02 - Chicago, IL, Yu-Gi-Oh! Championship Series	> YCS Chicago First-Timers! 25-year-old Nickolas Visneski from Minneapolis, Minnesota played the Yu-Gi-Oh! TRADING CARD GAME when he was younger, but picked it up again just over a year ago. Recently, he has been competing at the Regional and local level, but until today, he has never attended a YCS event! 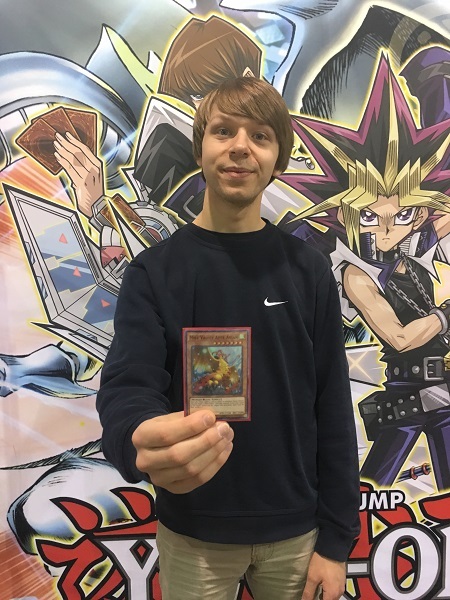 Nickolas likes the fact that the YCS is a large event, and expects to see a bigger variety of Decks than he’s used to seeing at Regionals because of the number of Duelists here. Nickolas is using a Crusadia Guardragon Deck featuring his favorite card, Chaos Dragon Levianeer! 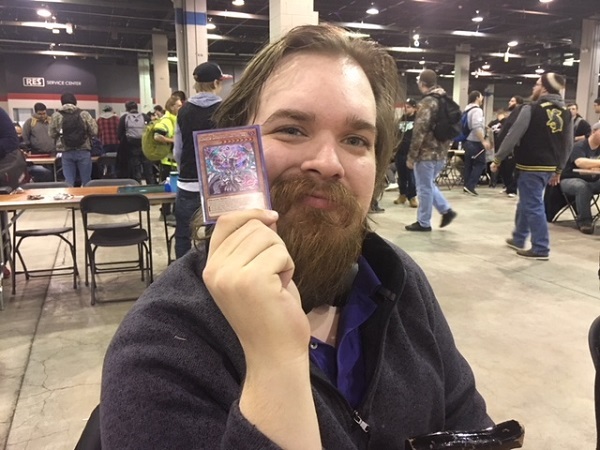 23-year-old Jacob Pokorny from St. Louis Park, Minnesota played the Yu-Gi-Oh! TRADING CARD a lot when he was younger, and picked it back up 4 years ago playing competitively. He competes at the Regional and local level frequently, but has never competed in a YCS event! He thinks it’s cool that so many Duelists appeared to compete this weekend. Jacob is using a Pendulum Magician Deck this weekend. Jacob’s Deck features Mist Valley Apex Avian, which he’s hoping he’ll be able to use to best the competition. 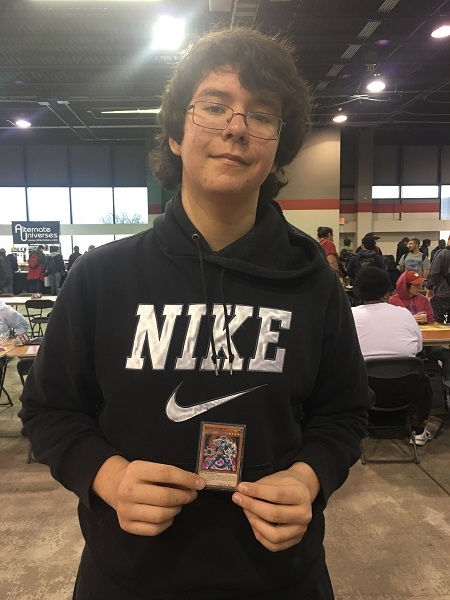 14-year-old Joseph Lebensorger from Chicago, Illinois has been playing the Yu-Gi-Oh! TRADING CARD GAME for nearly a year and has competed in a bunch of Regional and local events; but he has never competed in a YCS tournament! He likes that the YCS is a bigger event, and he has a lot of friends here with him. Joseph is using a Gouki Deck this weekend. He has been using Goukis for nearly 6 months now, and he’s trying not to let the new Forbidden & Limited List stand in his way! Here’s a picture of Joseph holding up his favorite card, Gouki Suprex! Will one of the YCS first-timers take the tournament by storm, or will an experienced Duelists take the first YCS victory under the new Forbidden & Limited List? Follow the coverage of YCS Chicago to find out! Round 1 Feature Match: Ty Reading vs. Neil Henning YCS Chicago: Round 1 Pairings!